The state closed Westwood Lodge hospital (above), run by Arbour Health System, last year. Two patients who died at Arbour Health System psychiatric hospitals were improperly medicated with numerous powerful drugs, according to a new report from an organization that investigated the deaths. One 32-year-old man was heavily sedated for days, leaving him unable to speak clearly or even open a cracker package. The 48-page report from the Disability Law Center in Boston sheds light on the deaths of Michael Bakios and Amber Mace, who both died overnight in their beds in 2015 — Bakios at Westwood Lodge and Mace at Pembroke Hospital. While the state Department of Mental Health cited hospital staff at the time for not closely monitoring Bakios and Mace and other lapses, the law center’s criticisms went further, focusing on the underlying issue of improper prescribing. Both patients died of “probable cardiac dysrhythmia’’ according to autopsy reports. Life-threatening heart problems are a risk of certain psychiatric drugs. Christine Griffin, the law center’s outgoing executive director, said the state did not look deeply enough at how many drugs Bakios and Mace were prescribed — a dozen each — and whether they were appropriate. And she said the state did not require adequate improvements. “I don’t think anyone said loudly enough: ‘This is wrong,’ ’’ Griffin said in an interview. In an e-mailed statement to the Globe, state mental health officials disagreed with that characterization. They said the department “applies its licensing standards with rigor,’’ and that the actions it took against the Arbour hospitals bear this out. Mace’s death, in particular, contributed to a cascade of unannounced inspections and required improvement at the hospitals. State officials eventually closed Westwood Lodge last August. Mental health officials said they are not responsible for how drugs are prescribed. “It is not DMH’s role or authority to investigate the specific clinical decisions (including medication decisions) made in individual cases by physicians employed at licensed facilities,’’ said the e-mail from spokeswoman Daniela Trammell. Arbour spokeswoman Judy Merel said in an e-mail that the company would not comment on the report from the Disability Law Center, which is an independent federally funded organization with congressional authority to investigate abuse and neglect of disabled people. Attorneys for the families of Mace and Bakios also declined to comment. The report referred to Mace and Bakios by pseudonyms. 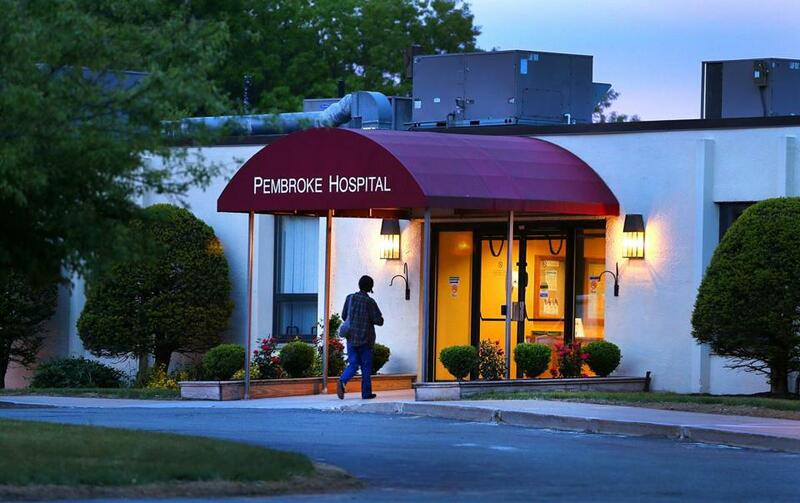 A Globe review last June found that the seven psychiatric hospitals then owned by Arbour had repeatedly and sometimes egregiously shortchanged patient care while reaping robust profits. 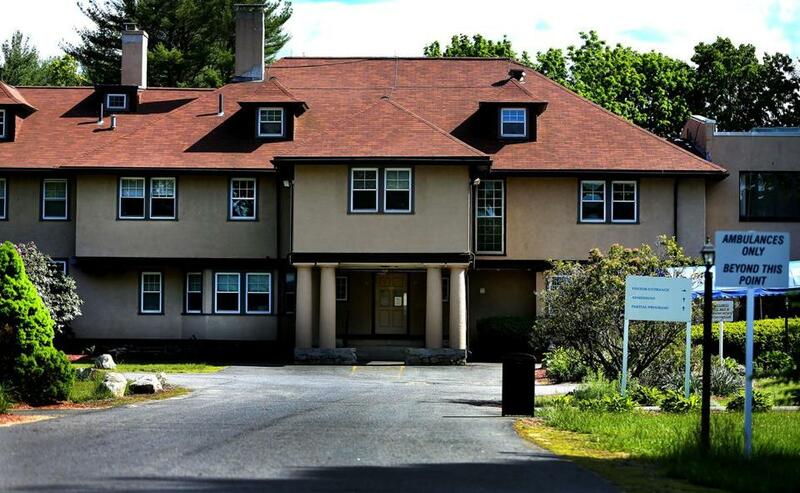 Last month, the company closed its second hospital in six months, the Lowell Treatment Center, bringing its number of inpatient facilities in Massachusetts down to five. Pembroke Hospital remains open. Arbour has long defended its record, saying it cares for some of the state’s most challenging patients. It is owned by Universal Health Services, the biggest psychiatric hospital company in the country. For Bakios, who suffered from schizophrenia, improvements in the quality of care did not come soon enough. An ambulance took him to Westwood Lodge in April 2015 because he was hearing voices telling him to harm himself and others. Over the 16 days he spent there, he repeatedly was medicated with strong drugs to the “point of insensibility’’ until he eventually passed out, according to the Disability Law Center, which reviewed the medical records. He would wake up to find his hallucinations were worse and request more medication. He slept for 24 hours at one point, and staff repeatedly observed him stumbling, unable to open a package of animal crackers or wash an apple, and dozing on the hallway floor. Yet, there was no record that nurses or other staff notified a doctor, the report said. “Westwood Lodge relied solely upon the use of powerful medications to suppress the symptoms of his illness without developing an effective treatment plan to address the cause of those symptoms,’’ the report said. In Mace’s case, the law center said her medical record indicated she consented to six new medications in addition to being prescribed six she had been taking at home — a complicated regimen that included “off-label’’ uses of drugs. This is when drugs are used to treat conditions other than those for which the products have been approved by federal regulators. But given that Mace, 20, was noted to be mentally impaired when she arrived at Pembroke Hospital, an outside expert hired by the center said he doubted she could have made an informed decision. During her two-day stay, nurses raised concerns about the combination of drugs she was taking and whether her headache and vomiting were side effects. On her last night, she was sedated and went to sleep at 7:30 p.m. When she was discovered not breathing at 5 a.m., she had been dead about two hours. Among other findings, health officials cited Pembroke and Westwood staff for not checking as often as required to make sure Mace and Bakios were breathing. She said the state should more closely oversee how psychiatric hospitals medicate patients. Department of Mental Health officials said the agency and the Disability Law Center have “fundamentally different oversight roles.’’ The mental health department “assures compliance with licensing and operational standards,’’ while the law center “has a more specific focus on protection and advocacy on behalf of individual patients,’’ the agency’s e-mail said. The law center has asked the Arbour Health System to submit a detailed remedial plan in the coming weeks.